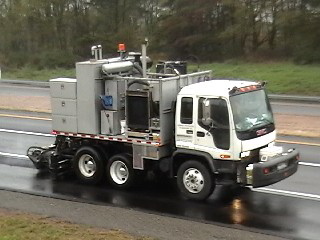 SPT has enhanced our computer controlled grinding technology to include the precision necessary to remove pavement markings. The result has been a high production line removal method which is capable of production speeds in excess of 5 miles per hour on asphalt. The unique drum and tooth configuration removes markings with little or no grind mark or scoring which is typically left by other methods. SPT is not a painting contractor, we offer our line removal services to supplement the capacity of striping contractors on larger projects.